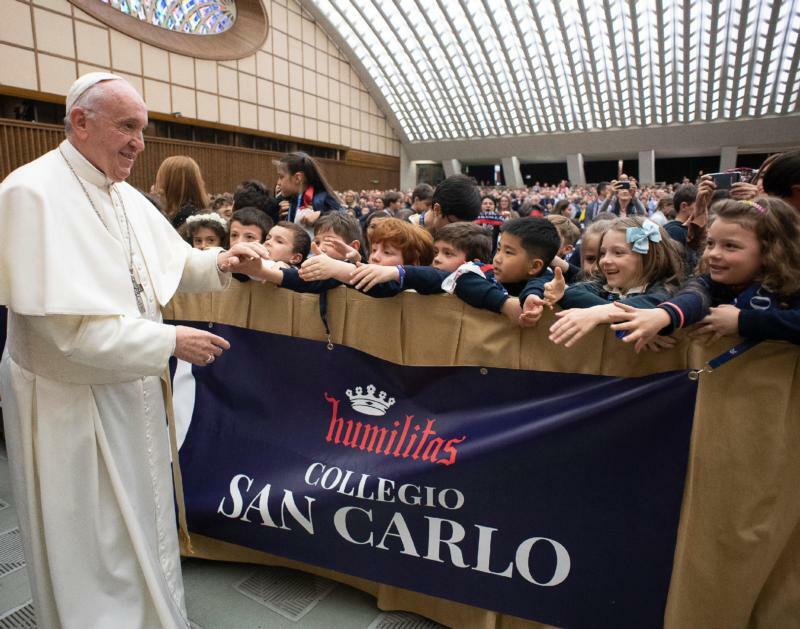 VATICAN CITY (CNS) — God does not play favorites, but human beings do in little ways at school and in big ways with the global economy, Pope Francis told students from Milan’s Istituto San Carlo, a school with students from prekindergarten through high school. Sometimes God playing favorites seems the only explanation for why some children have everything and some have nothing, the pope said April 6. Asking “why” is essential for coming to the realization that while human suffering is a mystery, often there is a human hand behind the pain. “We are the ones who show favoritism,” the pope said. “We are the artisans of the differences” between those who have enough to live and those who don’t. “Why are there so many hungry people in the world?” the pope asked. It is not God’s choice, he said. “No, it’s because of the unjust economic system,” which creates people who are increasingly wealthy and people who are increasingly poor. The pope’s specific mention of European and American arms sellers was included in the Vatican News coverage of the speech and is clear in the Vatican’s YouTube video of the event but was not included in the transcript of the event released by the Vatican press office April 7. A fundamental starting point, he answered, is to ensure that the children have “roots” in their Christian faith and in their Italian culture.